The children made Santa handprint ornaments to give to their parents for Christmas. While searching the internet for gift ideas I came across two that we combined to make the finished product. 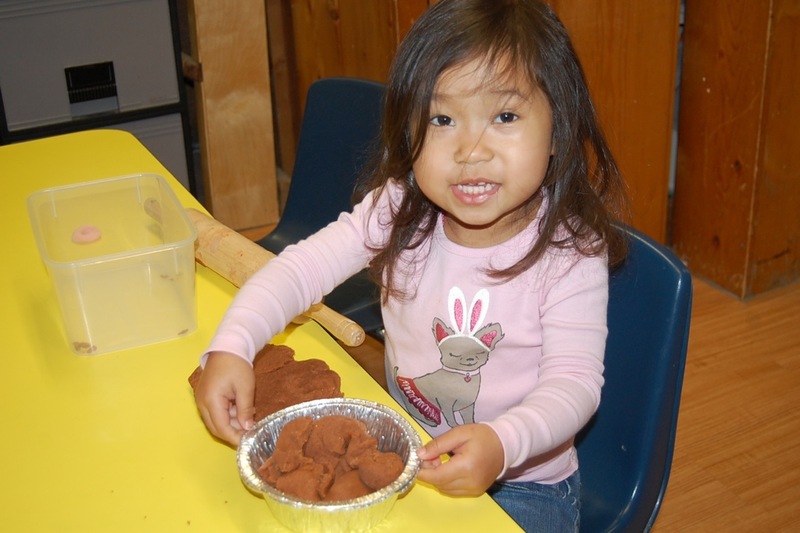 One site offered to make the Santas professionally from clay using a child’s handprint. Then I found a recipe on Pinterest that uses cornstarch and baking soda to make a clay that looks like porcelain when it’s finished. 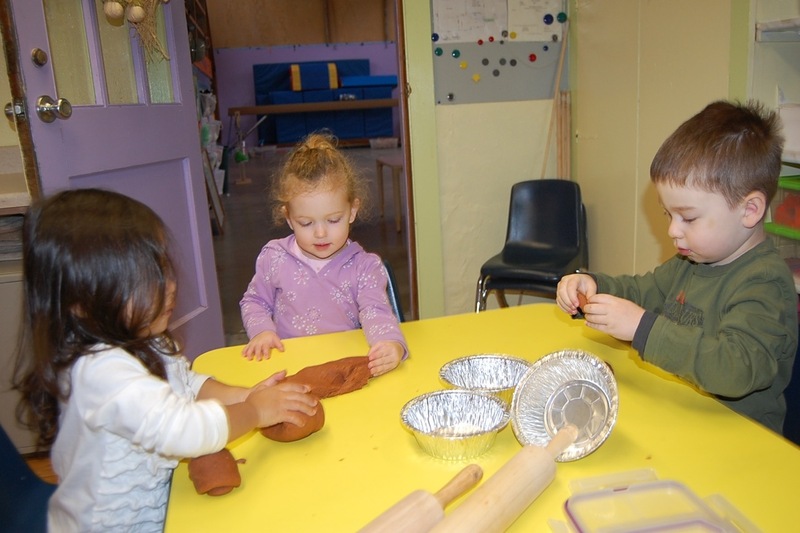 The clay was used to make beautiful Christmas ornaments, so I thought it would be perfect for the children’s gifts. It took about two weeks to complete the project. There was a lot of trial and error making the clay just right so that it wouldn’t crack while baking. A few of the ornaments had to be made a couple times. 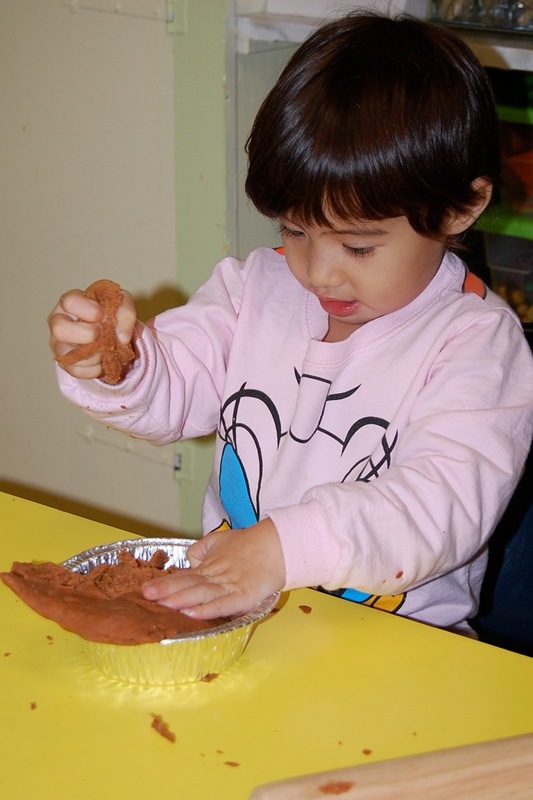 The teachers made the clay and then helped the children to press their hands into it. Teachers cut the handprints out of the clay and then baked them for a couple hours before setting the prints out to dry. 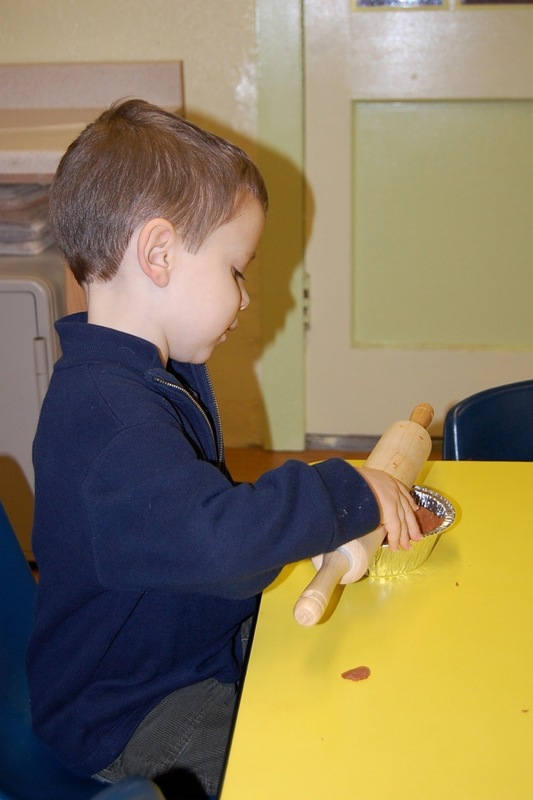 It’s important that each child do as much of their own work as possible, so the toddlers painted their hands red. The preschool class painted Santa’s hat. The beard was painted white, and then a teacher added the facial details. The children and teachers are very pleased with the finished ornaments. Amber and I made pumpkin pie playdough for the kids. 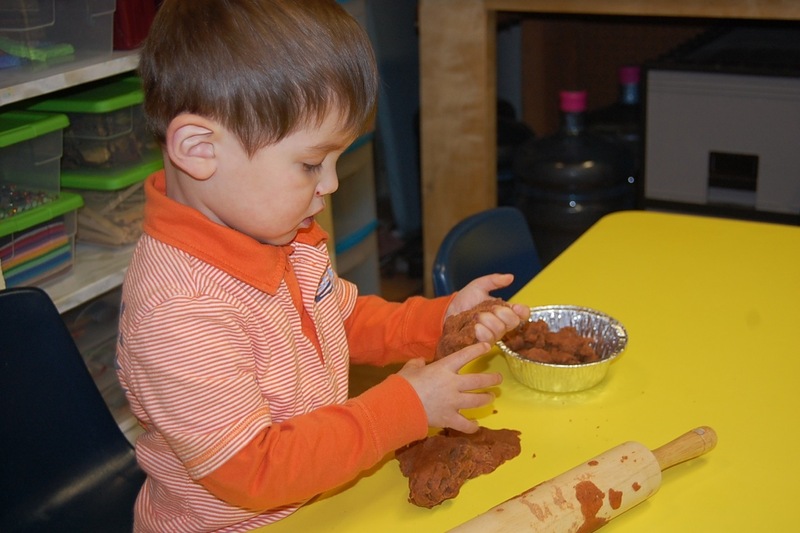 We added cloves, ginger and cinnamon to the dough and some orange food coloring. The result was absolutely wonderful and smelled delicious. The kids loved it and had a difficult time leaving the center to let friends have turns with it! 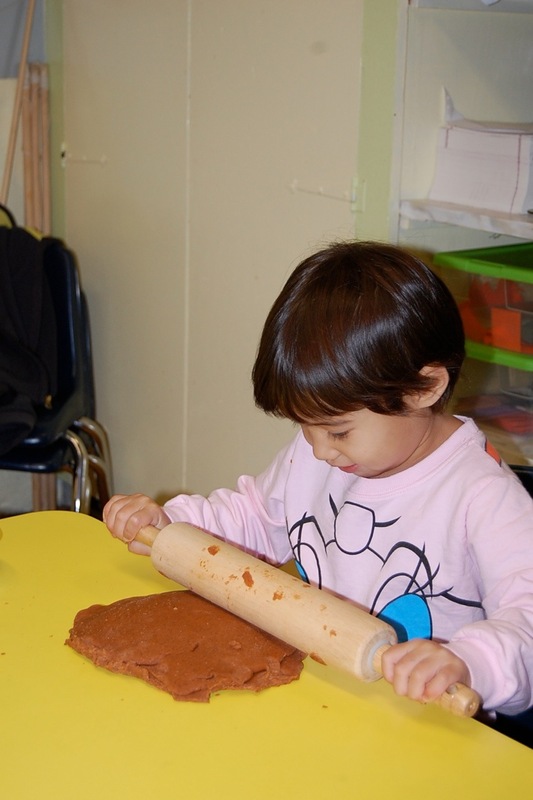 They loved rolling out the dough and pretending to cook. The dough had to be rolled again once it was put into the tins. After the pie was finished it was time to share the desert! We’ll have to make real pumpkin pies next week before Thanksgiving. 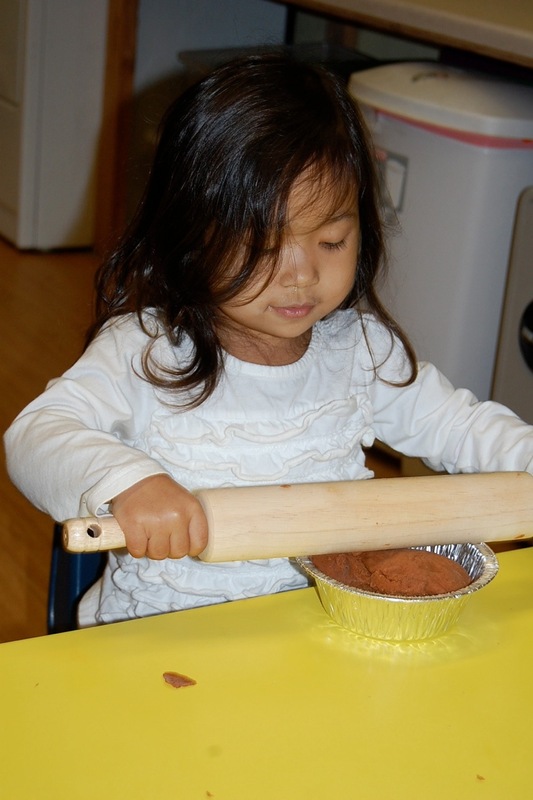 The playdough recipe we used is one of the best we have ever found and have been using it for years. It’s very easy and quick to make. It would be a great project for parents to do with kids at home. Place all ingredients in a large pan. Cook slowly on medium-high heat and stir until the playdough thickens. 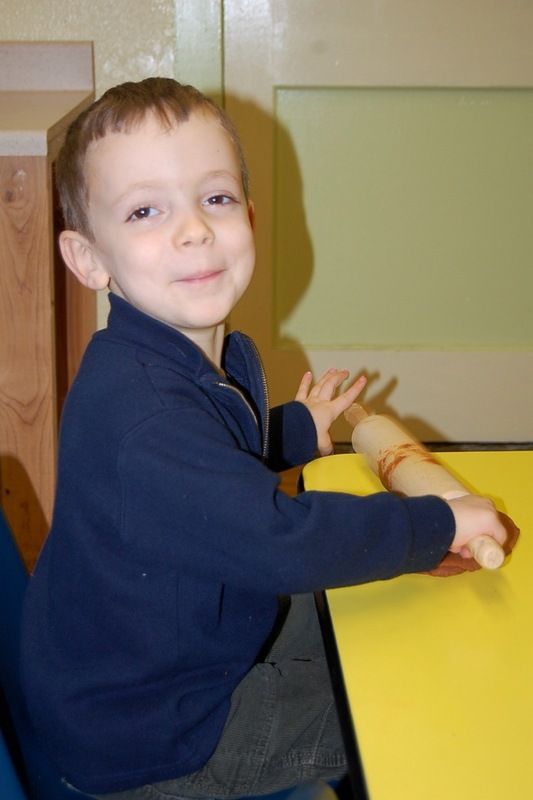 Remove the playdough from the pan and knead on floured surface until it’s no longer sticky. Playdough can be stored in a plastic bag.